Everyone experiences patterns in life whether observed in nature, architecture, urban settings, crowds, flowers or when they are created. This competition is about submitting traditional photography, creative photography or digital art images that in someway reflect this theme description. PRIZE DETAILS: Best In Competition – Cash Award of $650 PLUS Photo Bundle awarded by Alien Skin Software which includes Blow-Up, Exposure 7 and Snap Art 4; online solo-exhibition following the month of the top finalist exhibition;a press release will be sent out by EWW announcing and promoting the results of this competition to contacts that include: major media outlets, trade journals, social media, selected gallery owners and/or directors, corporate art representatives, interior designers and other buying markets. 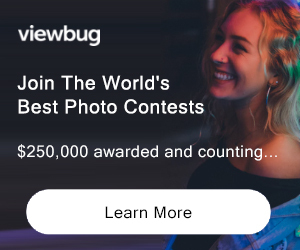 2nd Place – Cash award of $100 US 3rd Place – Cash award of $50 US Up to 7 Awards Of Excellence selected Not eligible to enter? - Find contest where you are. COPYRIGHT: Photographers retain all rights to image(s) submitted for competition. USAGE RIGHTS: By submitting an entry, the entrants receiving a placement in the competition grants Exhibitions Without Walls and its designees an irrevocable, royalty-free, non-exclusive, worldwide right to the use of the image(s) for promotion, only for a period of 18 months. After that, Exhibitions Without Walls will have to contact photographer for continued use of an image(s) submitted.